My father was fond of Native Americans cultures and everything related to the "Far West" when he was in his twenties and thirties. He gave my mother a ring representing the sun for the Navajo. I have now this ring and, beside my wedding and my betrothed rings, its most all time favorite! 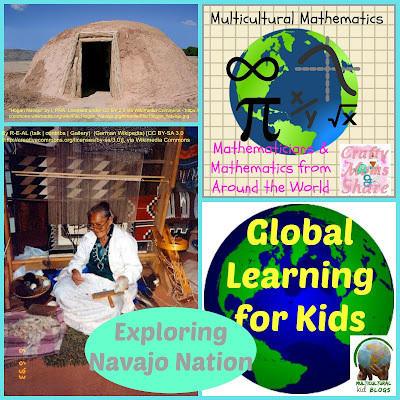 So, well, I'm quite a bit interested in Native Americans culture too. Any post about them will spark my interest. 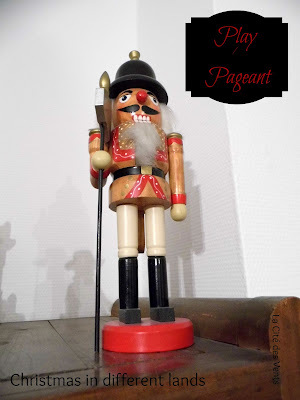 Have you ever attended a Christmas pageant or a play? Are there stories you love to see on a scene, or songs you wish to hear with a new arrangement? 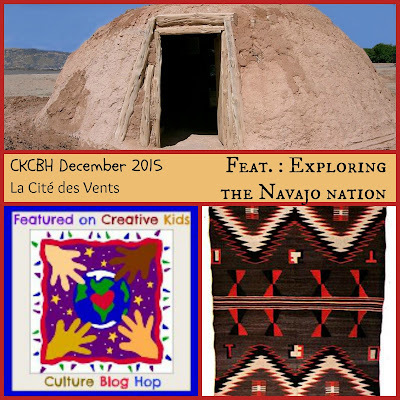 Every year, a new show is created whith guests artists. In 2013, the great comedian John Rhys-Davis was both a splendid narrator and Ghost of Christmas Present, towering over Dickens who was struggling in writing his best seller A Christmas Carol. Bryan Stoke-Mitchell performed in 2008 and his voice joined the choir for a memorable Through Heaven's Eyes, and Santino Fontana played with the Sesame Street puppets last year for the great joy of the children in attendance. 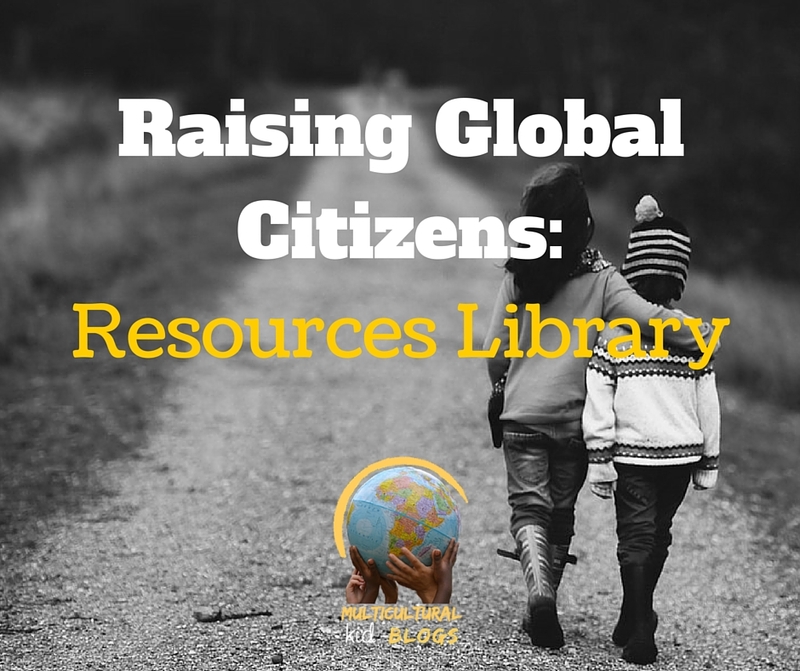 You can find all their videos on this page. But for the whole shows, you will find them only on DVD or CD. Of course, you can also buy a ticket and experience for yourself the musical prowess of the choir, orchestra and bell ringers. If you have the opportunity to visit Catalunya during December, check out the festivities during your stay. Between the Pessebre vivent and the Nativity Scenes exposed in the local churches you should enjoy your travel. The Forgotten Carols, musical written and produced by Michael McLean. A few weeks ago, while I was looking for new Christmas songs to add to my playlist, I stumbled on the songs of the musical the Forgotten Carols. Listen to these carols here. In the city of St Nicolas de Port, in Lorraine, France (on their website) the procession for the patron of Lorraine is each year on the nearest Saturday to the 6th of December. It's a joyful celebration in the town and the basilica, as you can see in the video below. This year 2015, with the threats of terrorism in France, St Nicolas decided to hold the procession when others were deleted of the Christmas programs. It was 770th procession and it was a success, as always. Who doesn't know this masterpiece composed by Pyotr Ilyich Tchaikovsky? Whatever your preference is, take some time during your holidays to watch a Christmas show and feel the Spirit of Christmas! 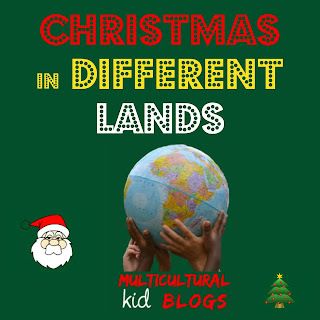 This post has been written for the Christmas in Different Lands series, created by Multicultural Kid Blogs. Each entry is on a specific part of Christmas: ornaments (my last post), creating cards, Christmas markets, carols, Eve traditions, etc. Don't forget to check them out! Drums, bells, piano, violin, or guitar playing our favorite Christmas tunes can be heard in the malls and on many radios. Some are so well known that you can whistle them on your own and other are more "mysterious" for our ears. In the Bible, it is said that an angel told her that the baby who will soon grow in her wombs, would be the Son of God. Of course she knew that her son should be unique and powerful. She was educated in the ways of God. She knew of the prophecies of old. And she was witnessing the homage from the sheperds, and probably was feeling the Holy Ghost and the angels' presence in the stable. However, she was a young woman, mother for the first time in her life. This baby was hers, so tiny, precious and fragile. His future was foretold, but right now SHE was the one who would hold him and protect him. She was amazed, tired and very much "in love" with her son. Metaphysic and spiritual questions may have come and go in her mind, but her heart and soul were at peace, and love was the most important feeling at that moment. The author of the song are Mark Lowry and Buddy Greene, and it was first recorded by artist Michael English in 1981. Numerous artists have sung this modern Christmas song in different musical genres. I have shared in my last week post the oh so beautiful cover made by Peter Hollens on the 8th of December 2015 and which has already more than 3,5 millions views. And my kids favorite version by Evie Clair (she's 12 years old!). 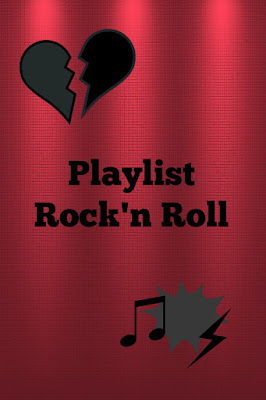 They can't stop listening to it. This Christmas, have a though for Mary, mother of Jesus, who knew from the time of His conception what her son will go through at the end of His mortal life. Decorating the house and of course the Christmas tree is one of the most awaited activities by the children (of all ages) in December, nearing Christmas. Depending where you live, not counting the garlands and the ball ornaments in plastic, you will hang specific and typical ornaments. 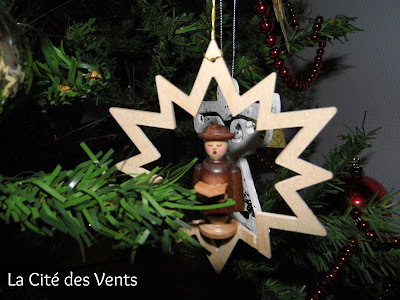 Décorer la maison et bien sûr le sapin est une activité très attendue par les enfants (de tous âges) au mois de Décembre, à l'approche de Noël. Selon la région où vous habitez, en dehors des boules et des guirlandes, vous accrochez des décorations spécifiques. Thuringe: blown glass balls and lace ornaments / les boules en verres soufflé et les décorations en dentelle. This one I like it too much to hang it on the tree... She stays to be observe from afar. My kids are far too curious and full of energy to be let "free" on a branch. Plus, it's a gfit from saxon friends, so I don't want to see it in tiny pieces on the parquet. Celle-là, je l'aime trop pour l'accrocher sur le sapin... Elle reste à observer, de loin. Mes enfants sont bien trop curieux et énergiques pour la laisser "à l'air libre" sur une branche. De plus, c'est un cadeau que des amis saxons nous ont offert, alors pas question de la voir en mille morceaux sur le parquet. 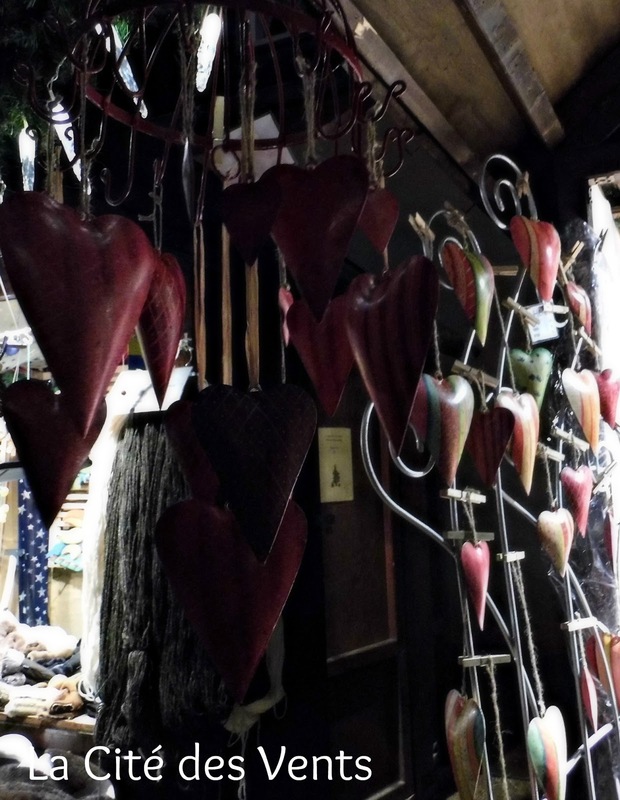 Metallic hearts, seen in Bad Homburg Christmas market. Because you have to keep in your mind (and heart) that Christmas is in remembrance of the highest Gift of Love from God to Mankind. Coeurs en métal, vus au marché de Bad Homburg. Parce que vous devez garder à l'esprit (et dans votre coeur) que Noël est en mémoire du plus grand Cadeau d'Amour venant de Dieu à l'Humanité. I have asked Varya from Creative World of Varya what she did when she was still living in her homecountry. When I was growing up it was customary to hand pine cones, tangerines /oranges and chocolate in the tree. People still do that and the smell of those is forever associated for me with Christmas trees! We also used medical cotton to make "snow". J'ai demandé à Varya, auteure de Creative World of Varya ce qu'elle faisait lorsqu'elle vivait encore dans son pays d'origine. Traduction: Quand j'étais enfant il était de tradition de suspendre des cônes de pin / sapin, des mandarines ou des oranges et du chocolat dans l'arbre. Les gens le font toujours et l'odeur de ceux-ci seront toujours associés à Noël pour moi. Nous utilisions également du coton pour créer de la neige. Traditional Peruvian ornaments are lovely. Here is a post about Christmas in Peru, in which I discovered these potery ornaments. Don't you want to have one so sweet? Les décorations traditionnelles du Perou sont adorables. Voici un article à propos de Noël au Pérou où vous pourrez découvrir ces décorations en poterie. Vous n'avez pas envie d'en avoir une si mignonne? 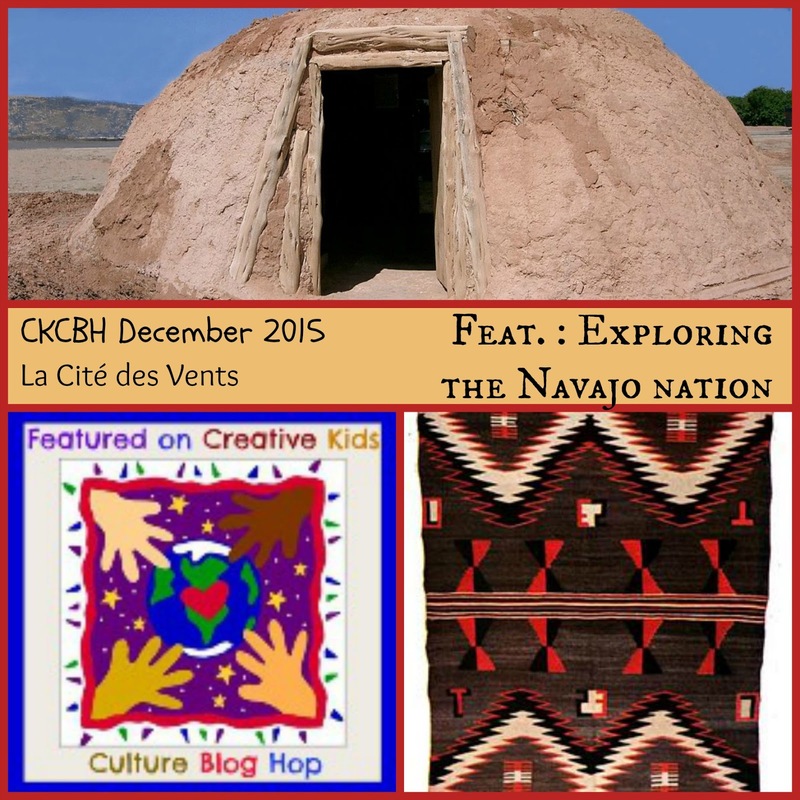 In Mexico, some indigenous peoples have a spiritual, contemplative and sacred form of craft called the Ojo de Dios. Many Mexicans love this tradition and some crafty people are making their own Ojo de Dios at home, not always in a spiritual aspect. 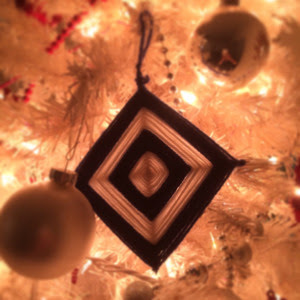 However, this blogger had the idea to make some to hang on her Christmas tree, linking back to the religious origin of the Ojo de Dios. Here's the link to her Ojo de Dios craft. Au Mexique, certains peuples indigènes ont un artisanat sacré, spirituel et contemplatif appelé Ojo de Dios. Beaucoup de Mexicains aiment cette tradition et certaines personnes douées de leurs mains fabriquent leurs propres Ojo de Dios chez eux, mais pas toujours pour l'aspect spirituel de cet art. 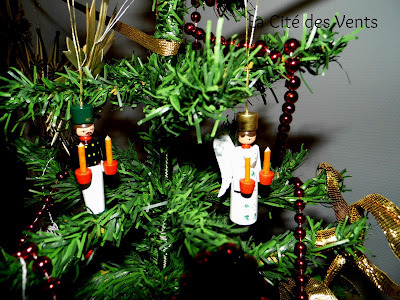 Toutefois, une blogueuse a eu l'idée d'en faire avec ses enfants pour les suspendre dans leur sapin de Noël, afin de relier cet art à ses racines religieuses. Voici le lien vers son tutoriel pour fabriquer un Ojo de Dios. I have received a porcelane ornament from Olga, the European Mama, for our ornaments swap in the MKB group. It's so delicate that the postman nearly crushed it when he left it in my mail box... but it is in fact intact. Ouf! 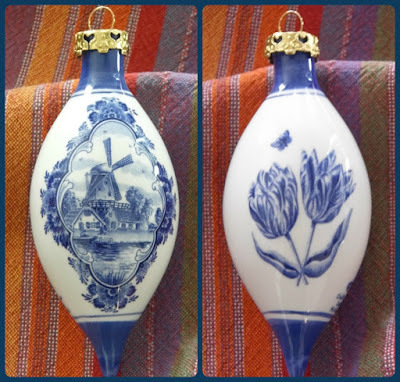 Tulips and a windmill are painted on it: Netherland typical "landmarks"! 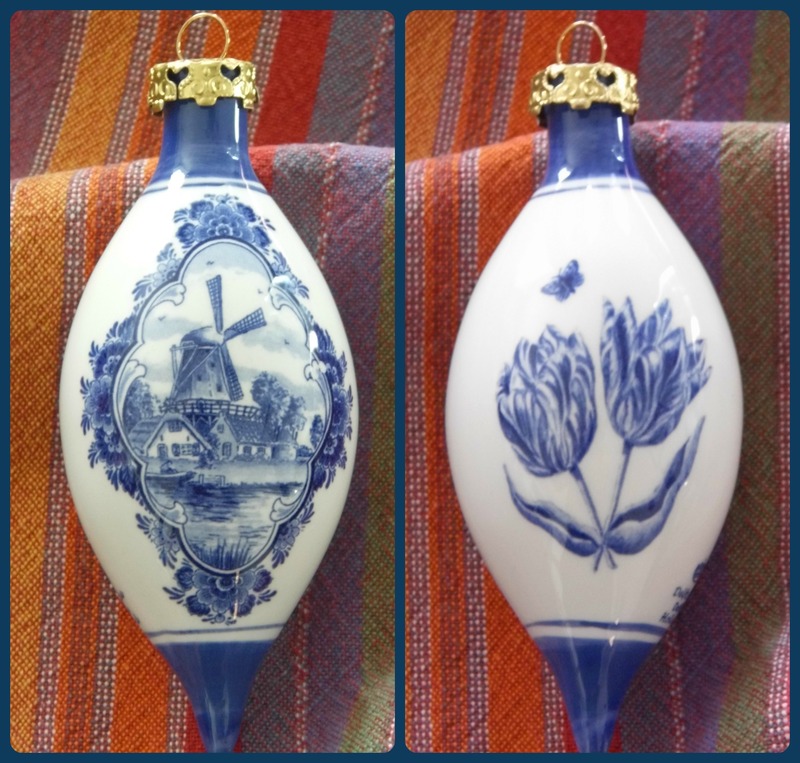 The colors (white and blue) of the ornaments is so called "Delftse Blouw"- Delft Blue and it's typical for the pottery style in the city of Delft- where I used to live! Because of that it's also called Delftware. J'ai reçu une "boule" en porcelaine de Olga, the European Mama, dans le cadre de notre échange entre membres de MKB. Le facteur a failli la briser lorsqu'il l'a fourré dans notre boîte au lettre... mais elle est intacte. Ouf! Des tulipes et un moulin à vent sont peints dessus: les signes distinctifs des Pays-Bas! 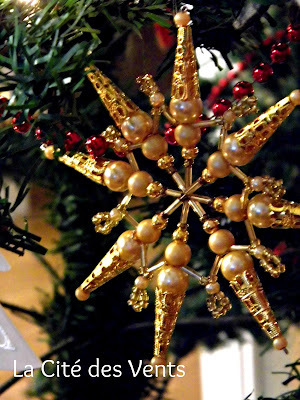 My friend Melissa has collected quite a few wonderful ornaments during her peregrinations. Her posts about memories of some Christmas are a must read for those who like to travel and /or are fond of family memories: Norway, Switzerland, Strasbourg, Vienna. 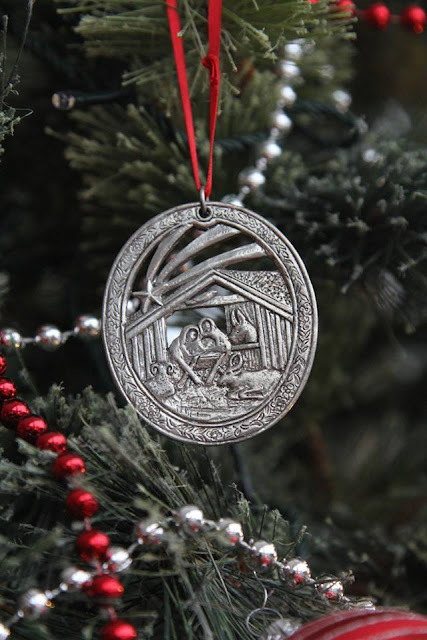 She lived several years in Norway and gathered there those beautiful pewter ornaments. Mon ami Melissa a collecté un certain nombre de décorations de Noël durant ses pérégrinations. 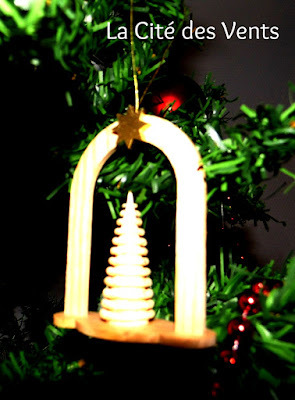 Ses articles sur ses souvenirs de certains Noël sont à lire absolument pour ceux qui aiment voyager et / ou sont amateurs de récits familiaux: Norvège, Suisse, Strasbourg, Vienne. Elle a vécu plusieurs années en Norvège et a assemblé cette collection de magnifiques décorations en étain. 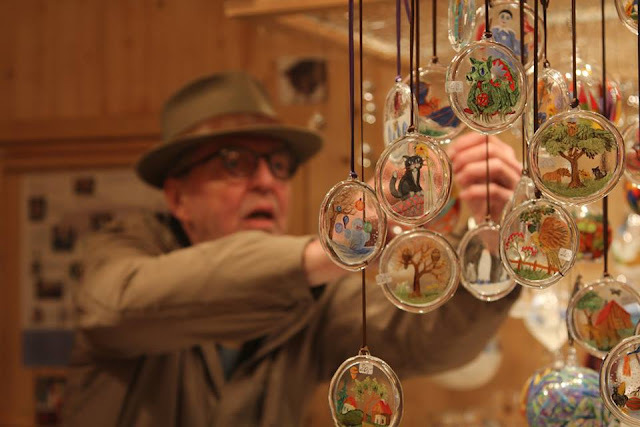 In Vienna, Melissa took this pictures of these delicate painted glass ornaments. Seems that the average price is 20€ for one. Not cheap, but so beautiful! A Vienne, Mélissa a photographié ces délicates décorations en verre peint. Il semble que leur prix moyen est de 20€ l'unité. Ce n'est pas bon marché, mais c'est tellement beau! 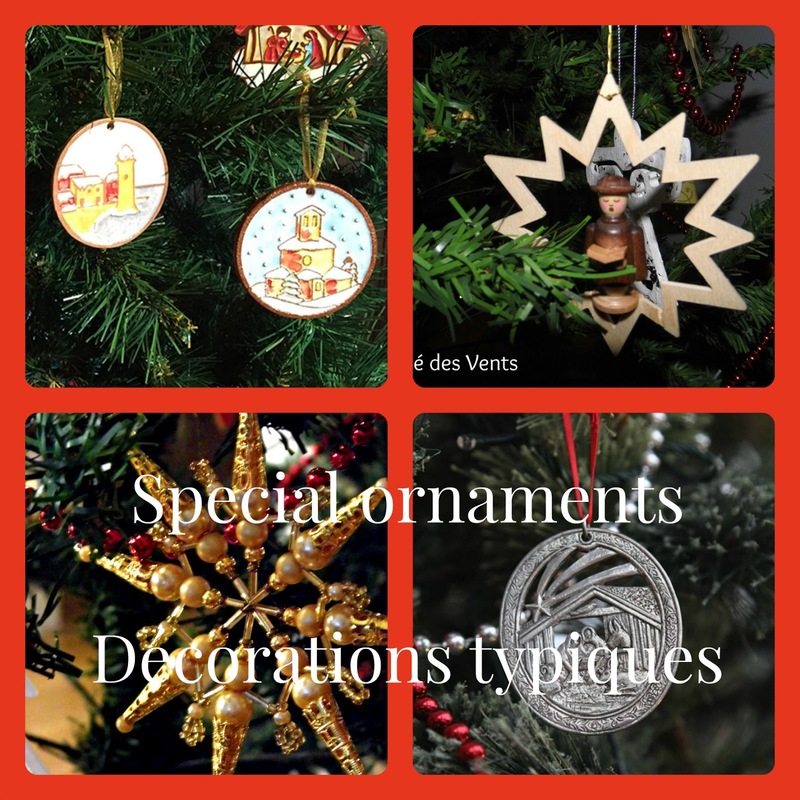 Rita from Multilingual parenting has shared with me some of her favorite ornaments. Two of them come from Budapest. Rita du blog Multilingual Parenting a partagé avec moi ces décorations préférées. deux d'entre elles proviennent de Budapest. The two hand-painted wooden ornaments are the most recent of these, but they carry lots of wonderful memories. 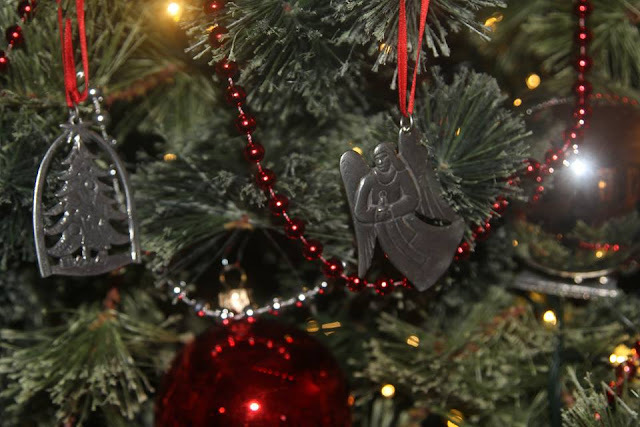 My husband and I bought them on our honeymoon three years ago, on the Christmas market in Budapest, Hungary. Les deux oeufs en bois peints à la main sont parmi les plus récentes décorations, mais ils représentent de nombreux souvenirs merveilleux. Mon mari et moi les avons acheté lors de notre lune de miel il y a trois ans, au marché de Noël de Budapest, Hongrie. For Rita, two ornaments in her tree have a special meaning: the little elf was made by my eldest daughter at nursery when she was about four (she is 30 now and a mother herself) and the porcellain bell has been hand-painted by my aunt and has a lovely, christmassy jingle. 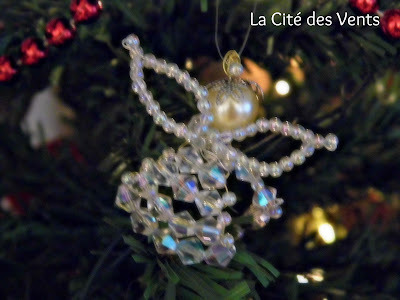 Pour Rita, deux décorations dans son sapin ont une signification bien particulière: le petit elfe a été fait par sa fille aînée quand elle avait environ quatre ans (elle en a maintenant 30 et est elle aussi mère) et la cloche en porcelaine a été peinte à la main par sa tante et a un adorable son de "Noël". 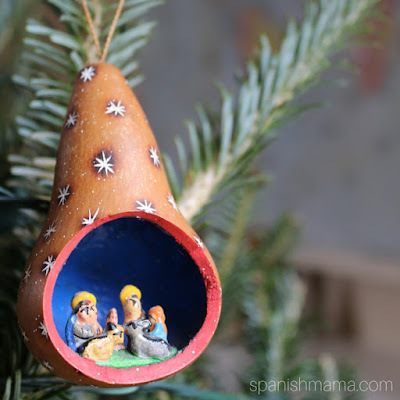 There are so many DIY ornaments out there on internet, I'm sure you can find one you will love to do with your children or with friends. If not this year, try to plan before Christmas 2016 a craft activity "I make my own ornaments". 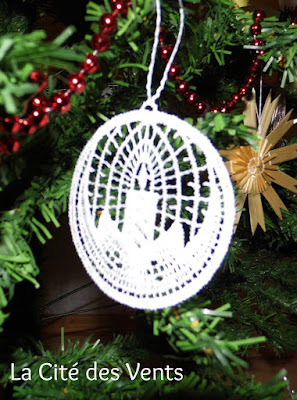 It's always so fun to do them and you will enjoy your creations on your Christmas tree every year! Il y a tellement de tutoriels sur internet pour faire ses propres décorations, je suis sûre que vous pouvez trouver un qui vous plait et vous pouvez faire avec vos enfants ou avec des amis. Si ce n'est pas cette année, planifiez pour Noël 2016 une activité "je crée mes propres décorations". 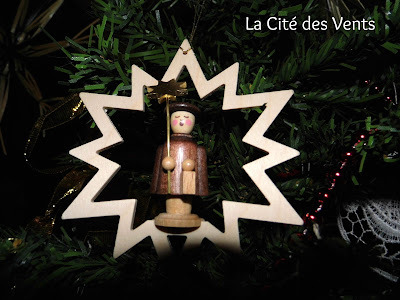 C'est toujours amusant de les faire et vous pourrez les apprécier tous les Noëls sur votre sapin! 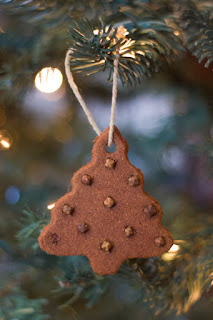 And for the final touch: why don't you make / bake your ornaments? Look at these cookies that you can hang up around your house for a very Christmas smell! Recipes are here, on Lovely Little Kitchen. Et pour la touche finale: pourquoi ne prépareriez / cuisineriez- vous pas vos décorations? Regardez ces cookies que vous pouvez suspendre dans votre maison pour un Noël parfumé! Les recettes (en anglais) sont ici, sur Lovely Little Kitchen. 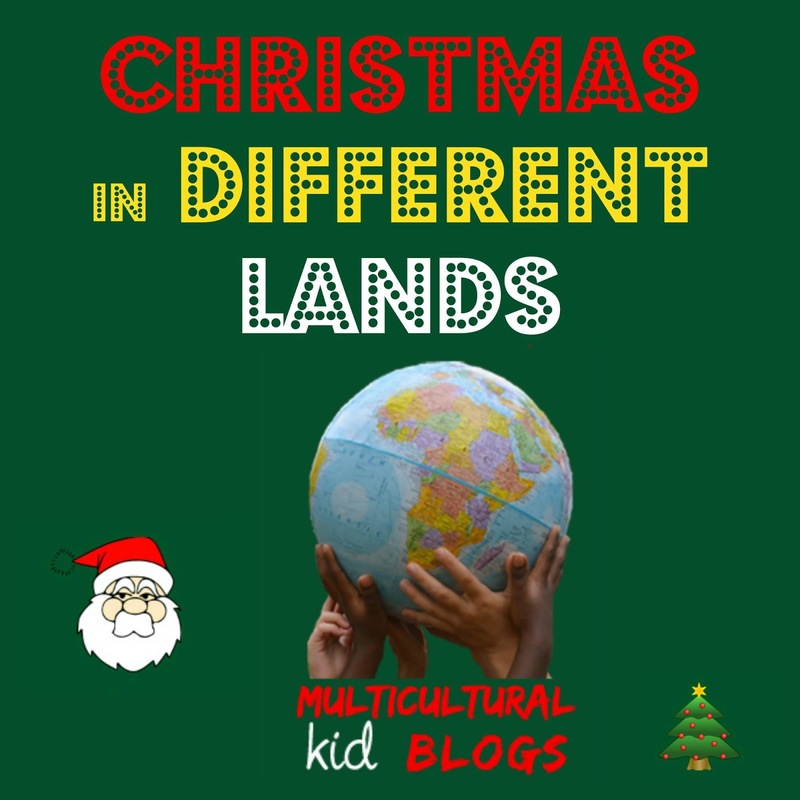 This post has been written for the Christmas in Different Lands series, created by Multicultural Kid Blogs. Each entry is on a specific part of Christmas: ornaments (my post above), creating cards, Christmas markets, carols, Eve traditions, etc. Don't forget to check them out! Each year, many artists add their own touch at Christmas carols and songs. I would like to highlight a few of them who renewed this Christmas 2015, and also share a special gift from me to you. 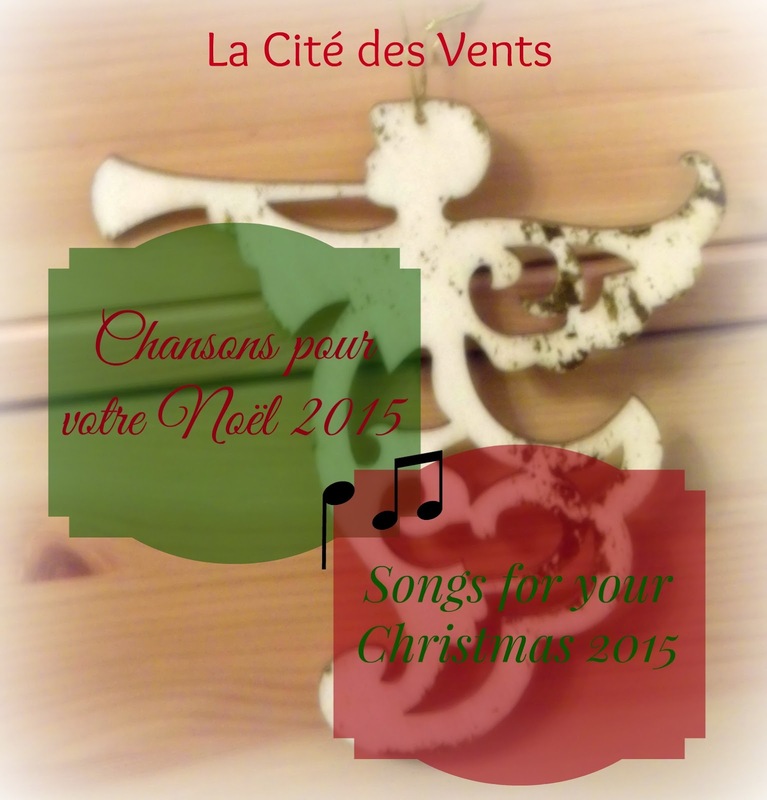 Chaque année, de nombreux artistes apportent leur talent aux chants de Noël. 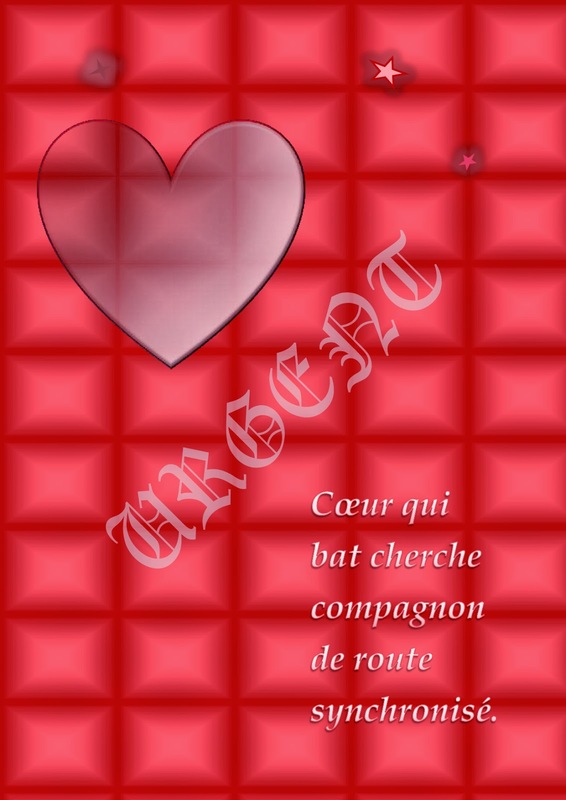 Je souhaite mettre en avant certains d'entre eux qui ont renouvelé ce Noël 2015, et également partager un cadeau particulier que je souhaite vous faire. We will start with this children song, an original one from Shawna Edwards, named I'd sing you a song. Nous commencerons par cette chanson d'enfants écrite par Shawna Edwards, nommée I'd sing you a song. And here's another original from the same author, The Star still shines. Et voici une autre de la même auteure, The Star still shines. and also with the One Voice Children's Choir, singing One Single Bell. et encore avec le choeur One Voice Children, chantant One Single Bell. Le cantique de Noël O Come, O Come, Emmanuel a aussi été interprété ce Décembre par la violoniste Jenny Oaks Baker. Peter Hollens is an angel singing Mary did you know? in this video that broke a record for his channel with 1 million views in 48h! Peter Hollens est un ange lorsqu'il chante Mary did you know? dans cette vidéo qui a battu un record sur sa chaîne avec 1 million de vues en 48h! Lexi Walker & the Lyceum Philharmonic will give you goose bumps with this angelic rendition of Ave Maria. Lexi Walker & the Lyceum Philharmonic vous donneront des frissons avec cette reprise angélique du célèbre Ave Maria. The Five Strings, O Come All Ye Faithful, flash mob. Kenz Hall sings a song called Heirlooms. I never heard that song but I really like the lyrics. Kenz Hall chante une chanson nommée Heirlooms (Héritages, objets hérités). Je ne l'avais encore jamais entendu, mais j'aime beaucoup les paroles. The Gardiner Sisters have chosen to sing The First Noel. And the six sisters were present for this special video! Les Soeurs Gardiner ont décidé de chanter Premier Noël (en anglais bien sûr), et les 6 sœurs sont présentes dans cette vidéo spéciale! Placido Domingo & The Piano Guys enthralled their audience with this record of Silent Night in the Cathedral St John the Divine. Placido Domingo & The Piano Guys ont charmé leur auditoire avec cet enregistrement de Douce Nuit (en anglais) dans la cathédrale St John the Divine. 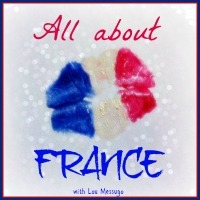 Mireille Mathieu sings La Colombe de Noël (from the music Hark the Herald Angel sing!). All Glory be to Christ, sung by Jessica Frech, is a discovery for me. I never heard that hymn before. All Glory be to Christ, chanté par Jessica Frech, est une découverte pour moi. Je n'avais encore jamais entendu ce cantique auparavant. Her performance of Celtic Carol (from four years ago) has been a huge hit at the CMA Country Christmas and she won an award that night. Son interprétation de Celtic Carol (d'il y a quatre ans) a été un grand succès sur la scène des CMA Country Christmas et elle a gagné une récompense lors de la soirée. An instrumental cover of the song from Leonard Cohen. Her message at the end of the video is very personal and touching. Une reprise instrumentale de la chanson de Leonard Cohen. Son message a la fin de la vidéo est très personnel et touchant. 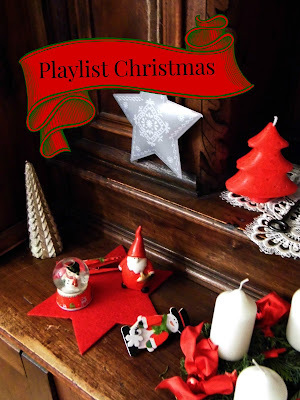 If you want for me to add your favorite Christmas song, please leave the link in the comments and I will do it! Have yourself a Merry and Musical Christmas! Si vous souhaitez que j'ajoute votre chant de Noël préféré, laissez-moi un message dans les commentaires et je le ferai! Joyeux Noël musical à vous! 6 Décembre au matin: St Nicolas a laissé quelques petites surprises pour les enfants. Puzzles, feutres couleur et chocolats pour Sophie, petites voitures et figurines + chocolats pour Gabriel. 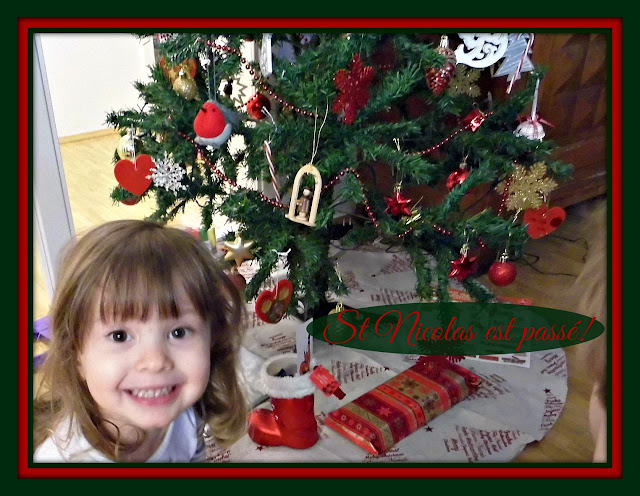 Morning of December 6th: St Nicolas has left some small surprises for the children. Puzzles, color pens and chocolates for Sophie, car toys, small figurines and chocolates for Gabriel. A Noël dernier, nous ne sommes pas allés voir notre famille et ils ne sont également pas venus nous visiter. Mais ce n'est pas pour cela que nous étions "seuls". Nous avions invité des amis pour partager l'esprit de Noël avec eux. D'ailleurs, je pense que c'était l'un des meilleurs Noël que nous avons eu depuis que Jonathan et moi nous connaissons. 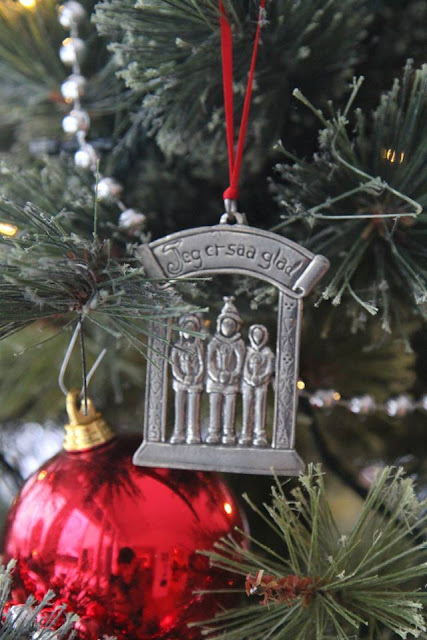 Last Christmas, we didn't travel to see our family and neither did they came to visit us. But that's not why we should have been "alone". We invited friends to share with us Christmas' spirit. And I think it was one of the best Christmas we had since Jonathan and I know each other. Sur quatre jours, j'ai préparé 4 repas de "fêtes", mais simples à cuisiner, pour plusieurs personnes. Ne pouvant agrandir d'un coup de baguette magique mon réfrigérateur et mon congélateur, j'ai dû ruser pour avoir tous les ingrédients nécessaires pour ces 4 repas, ainsi que les dîners et petit-déjeuners. For four days, I prepared 4 festive meals, but easy to cook, for several people. As I couldn't make my fridge and my freezer bigger with a move of a wand, I had to ruse to have all the ingredients for thos meals, plus the dinners, breakfasts, etc. 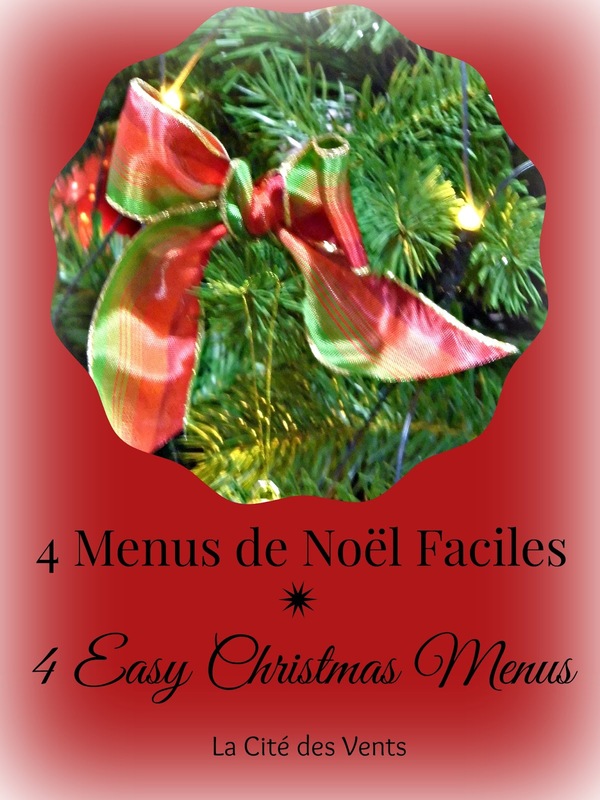 Donc voici quatre idées de menus "simples" et faciles (c'est-à-dire Entrée, Plat, Dessert + plateau de fromage) pour les fêtes de fin d'année. So here are four simple and easy menus ideas (starter, main dish, dessert + cheese plate) for the Holidays season. Pâté de porc au piment d’Espelette et salade d’avocats. / Pork's pâté with Espelette chili and avocado salad. Crevettes cuites au lait de soja avec carottes cuites au curry et riz. / Shrimp cooked in soja milk with carrots spiced with curry, and rice. Gâteau aux pommes (sans lactose) et salade de fruits frais / Apple cake (without lactose) and fresh fruit salad. Foie gras, chutney de figues et salade fraîche / Foie gras, fig chutney and fresh salad. Pintade rôtie dans une cocotte servie avec pommes duchesses et haricots verts à la ventrèche pimentée / Guinea fowl cooked in a cast iron cocotte, served with potatoes "duchess" and french beans cooked with spicy smoked bacon. Tarte aux poires amandine et glace à la vanille. / Pear almond tart and vanilla ice cream. Foie gras, confit d'oignons et salade fraîche / Foie gras, onion confit and fresh salad. Rôti de bœuf cuit en cocotte, avec pommes de terre en papillotes au four, courgettes moelleuses et marrons cuits. / Roast beef cooked in a casserole, with potatoes cooked in tinfoil, soft zucchinis and chesnuts. Gâteau glacé festif. / Festive ice-cream cake. Saumon fumé sur toasts, sur lit de salade / Smoked salmon with toasts and salad. Filets de dinde marinés dans du citron et de l’ail, accompagnés de pâtes au pesto et de tomates au four. / Turkey tenderloins marinated in lemon and garlic, with pesto pasta and tomatoes cooked in the oven. Tourte aux pommes et glace / Apple pie and ice-cream. Vous avez sans doute remarqué que nous avons mangé deux jours de suite du foie gras. Bon, ce n'est pas un produit que nous mangeons au quotidien et comme mes enfants l'aime tout autant que leur père et moi, on s'était fait plaisir. Pas de plainte non plus de nos invités à chacun de ces repas. Précision également: jamais plus je ne cuisinerais de l'agneau (sauf les côtelettes). C'est la viande que nous aurions dû manger le 26 au midi et ce fut un désastre de mauvaise cuisson... Même après l'avoir refait cuire, le goût était trop fort pour mes enfants, et mon mari et moi avons dû nous forcer pour la finir. Bref, si je ne connais pas la viande, je ne fais pas de "test" un jour de fête. Mieux vaut se faire la main auparavant. You have surely seen that we have eaten two consecutive days "foie gras". Ok, it's not a food we eat everyday and as the kids love it as much as we do, we indulged ourselves. No complaints from our guests either. A precision: never again I will cook lamb (except chops). It's the meat we should have eaten on the 26th and it was a calamity... 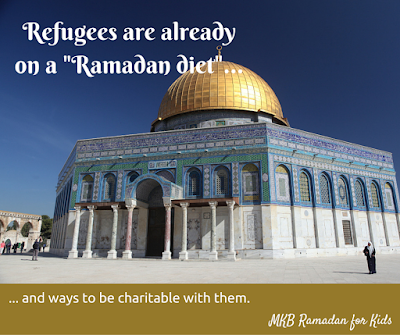 Even after I cooked it a bit more the next day, the taste was not liked by my children and my husband and I we had to force feed ourselves. So, if I have never cooked a piece of meat, I won't "test" it when we have guests. Better to practice beforehand. 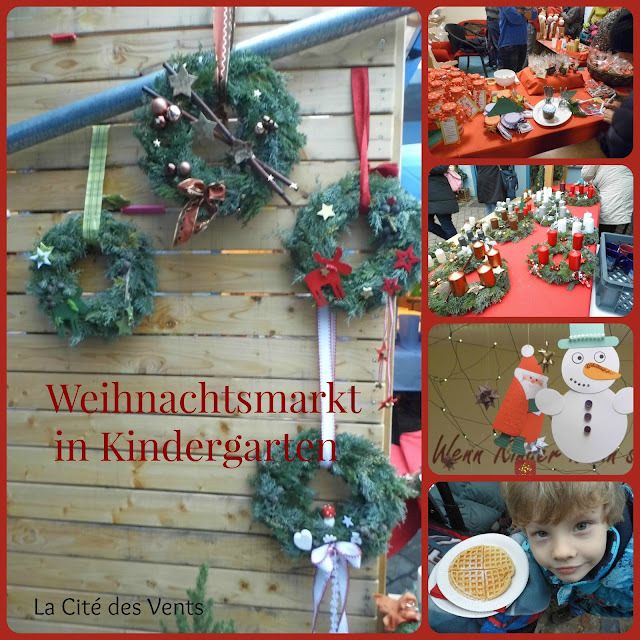 A Christmas market took place in my daughter's Kindergarten. I bought an Adventskranz, a "hang it up" garland made in felt with snowmen and snowflakes, and of course some Waffeln for the whole family. The money collected last Friday afternoon will serve the Kindergarten to pay for more suplies and new toys, books, furnitures, etc. Un marché de Noël a lieu dans le Kindergarten de ma fille. J'ai acheté une Adventskranz (couronne de l'Avent), une guirlande à suspendre à la verticale en feutrine avec des bonhommes de neige et des flocons, et bien sûr des gaufres pour toute la famille. L'argent récolté Vendredi dernier servira au Kindergarten à acheter du nouveau matériel éducatif, des jeux, des livres et des meubles, etc.